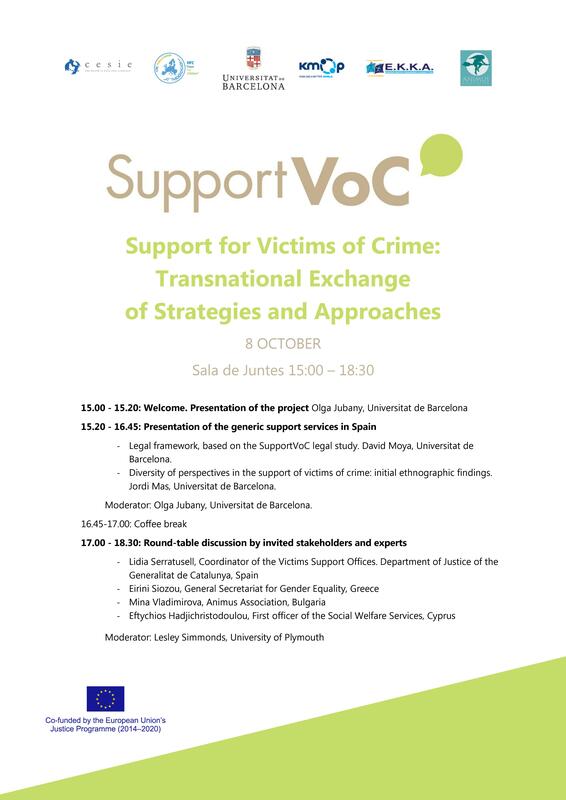 Today starts the Study Visit from the project @SupportVoc which will foster the exchange of experiences and approaches on the protection of victims of crime among actors from Cyprus, Bulgaria, Italy, Greece and Spain. Today’s session will include a presentation of the project, an overview of the current situation of the support network for victims of crime in Catalonia and Spain and a discussion table with actors and experts. This entry was posted in Events, News and tagged Study Visit, SupportVoC, Victims of Crime.